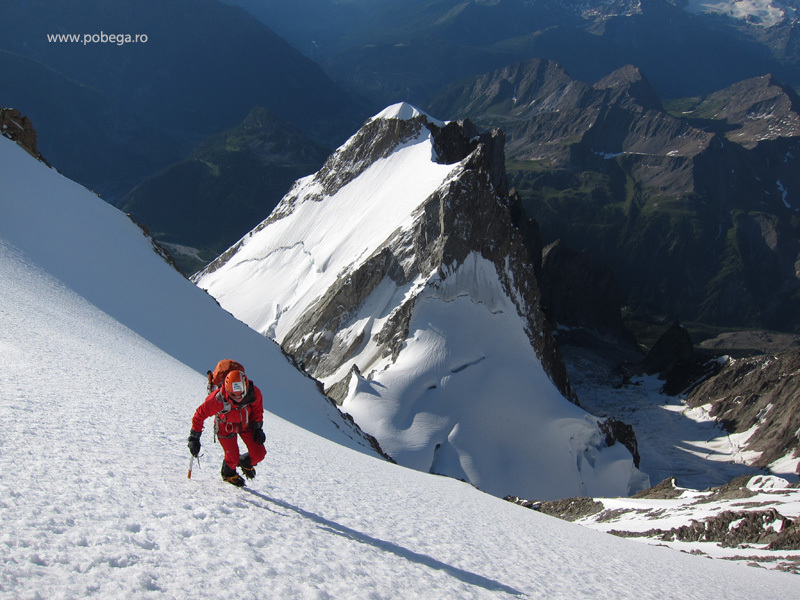 This is a 900 m mixed route situated in the NE face of GPA (Grand Pilier d’Angle- 4308 m), that starts from the Brenva Glacier up to the top of GPA. 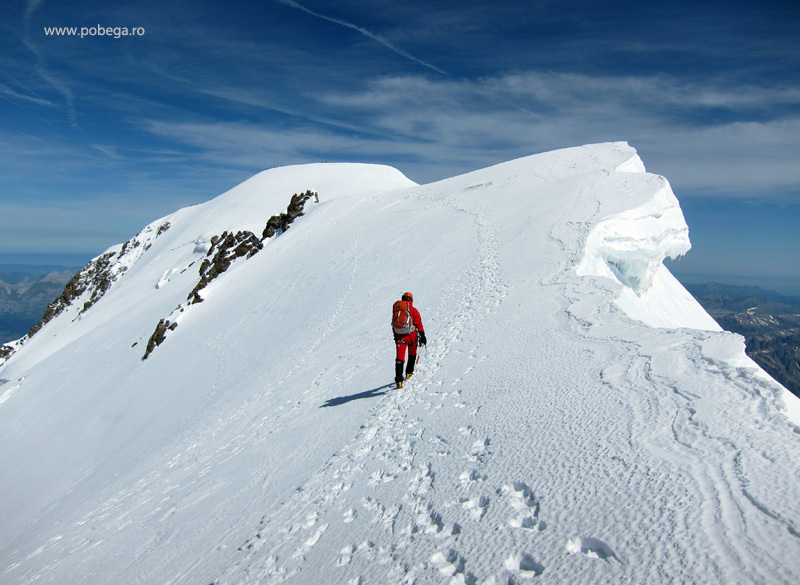 From the summit of GPA you still have to climb 500 m to the top of Mont Blanc(4810m), which makes this route a major undertaking. 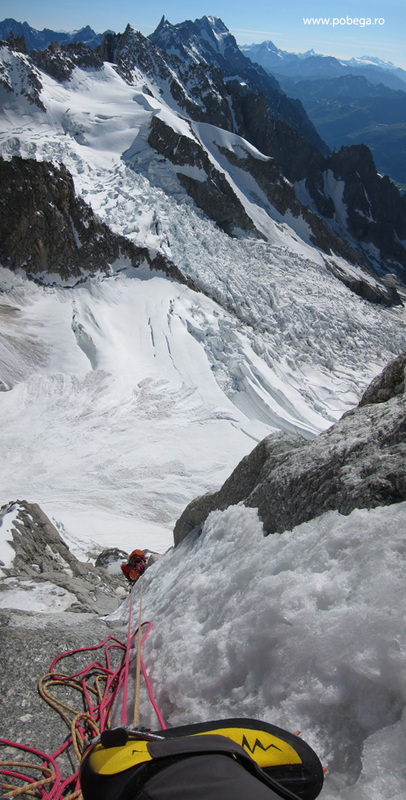 The idea of climbing GPA came to us one year ago while climbing Peuterey Integral . 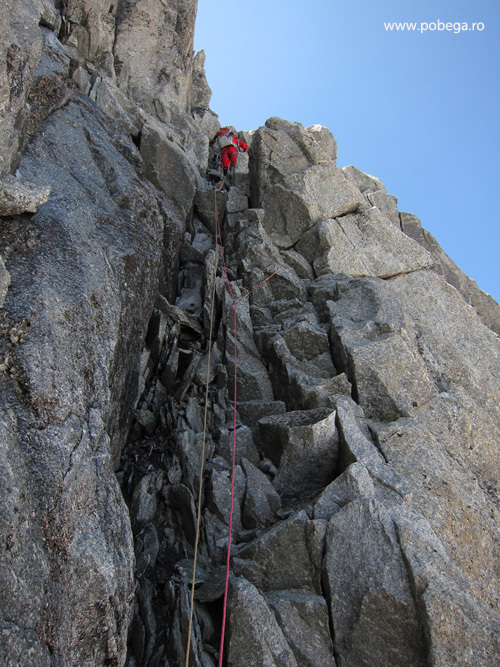 Then, on the top of GPA we met a French young team that climbed it’s NE face. 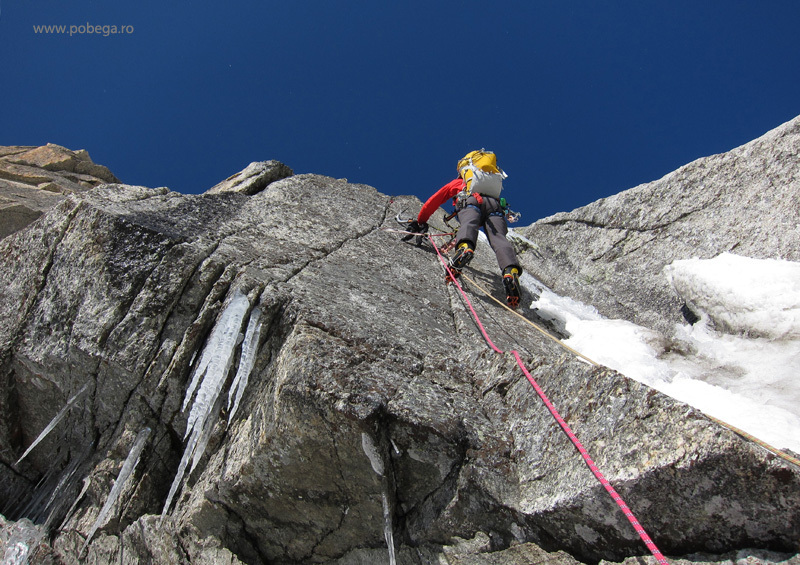 At that moment climbing GPA NE face sounded like SF to us, but it became a dream for 2011. When ? 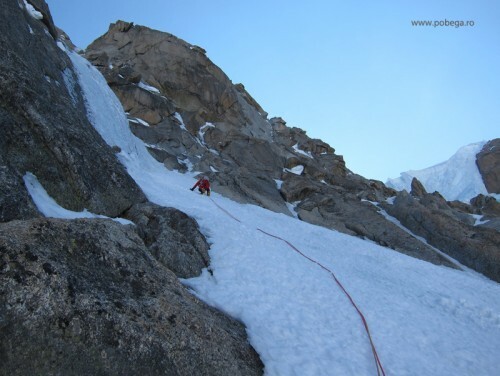 In our 2 weeks’ vacation on July 2011, we planned to climb only ice/mixed routes and GPA NE face was one of it. Everyone knows maybe that the ice/mixed routes are not in good condition in summer anymore. Everyone, except us… So, it was a big disappointment when Jonathan Griffith wrote me an Email saying we should switch plans for rock routes. Anyway, we decided to take all the gear with us (mixed and rock). 2 days before our leaving to Chamonix, Jonathan dropped me an Email saying the GPA was in good condition for the moment. YES, GREEN LIGHT, let’s go for it ! 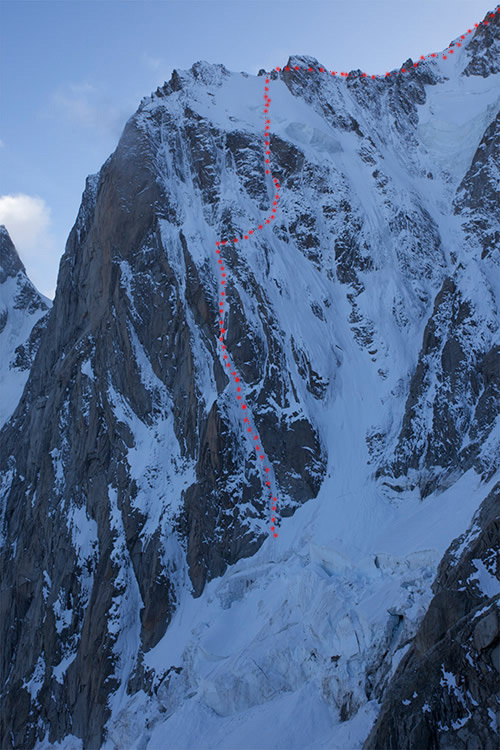 At 3 am on 3th July we’ve crossed diagonally right from Col Moore (we decided for this variant as it’s faster than making the 3 rappels down the face, though it’s more risky due to the stone fall) and then traverse the Brenva Glacier as fast as we could. 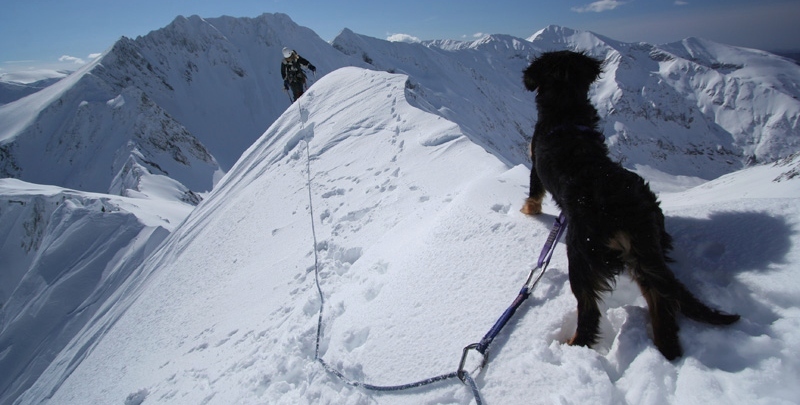 We were lucky, as the Brenva was in silence. 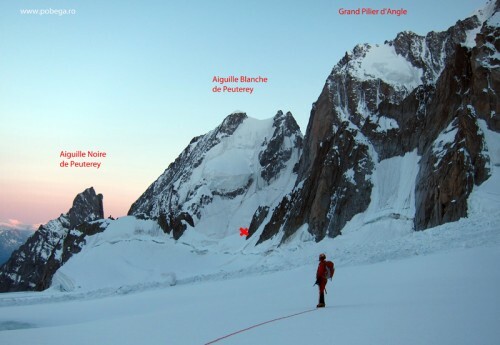 At 5 am we began climbing Checchinel-Nomine. One hour later, a big avalanche dropped down below us on Brenva Glacier. Thanks God, we were safe on our route. 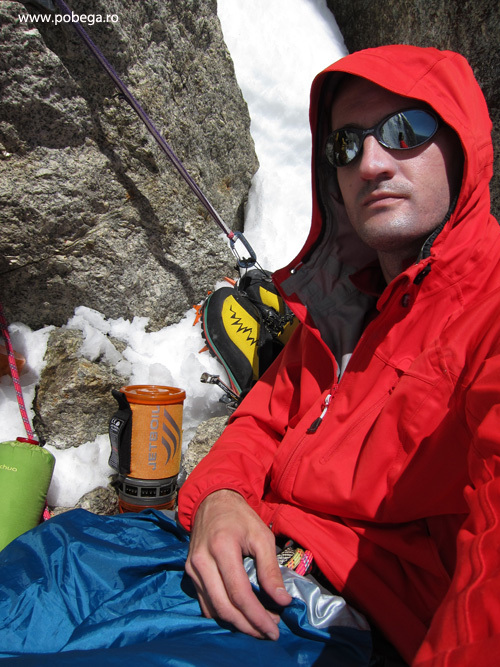 As we were not acclimatized at all, after the crux I felt like I needed to rest for a while, so we found a ledge and began making tea with our Jetboil. We took a nap too. It was warm and relaxing. The idea of staying there for the night came to me, but Silvia refused it and encouraged me to pack and go. We decided to continue climbing, after a 3 hours stop. 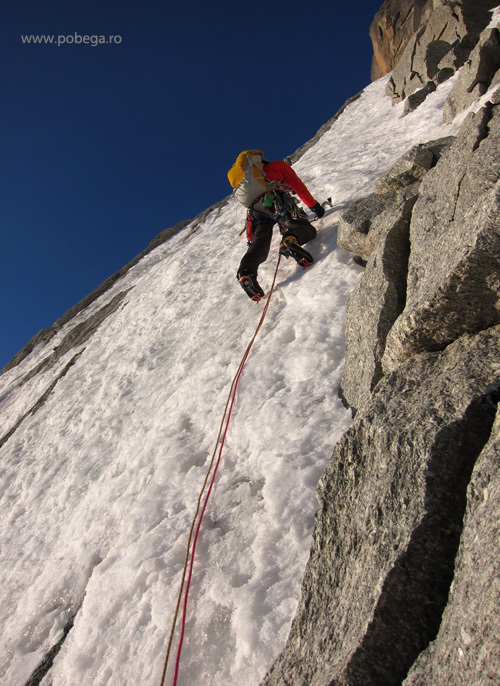 The pitch for traversing right in the Boivin-Vallencant variant was dry also, but it was very easy. On the upper part of Boivin-Vallencant we found black ice on the steeper section. It was the first time we had to deal with such ice, but we managed it quite well. It took us a lot of time, but felt like we learned a lot on the field just doing it. Next morning (4th July) we left GPA at 6 am and found the snow in good conditions all the way up to the summit of Mont Blanc. Topo for Grand Pilier d’Angle North-East face you can find here. 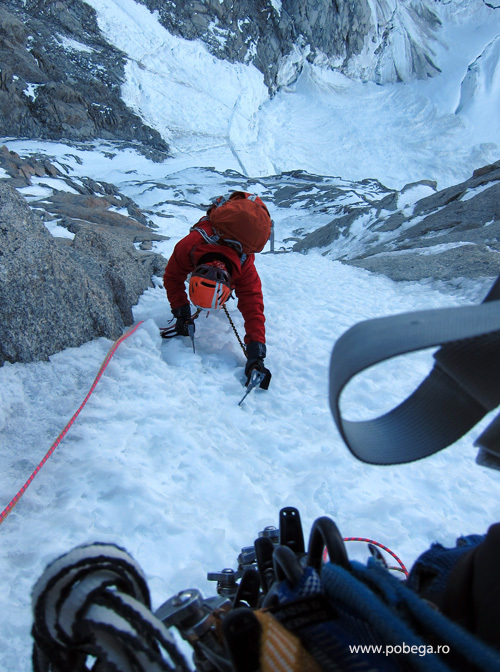 The equipment we used on the route: 5 ice screws, 2 rock pegs, 10 quickdraws, a set of nuts, 4 cams, 2 Beal ice-lines of 50 m, Osprey talon 33 l backpacks, Jetboil, bivouac kit and of course 2 ice-axes with slings and ice-crampons. 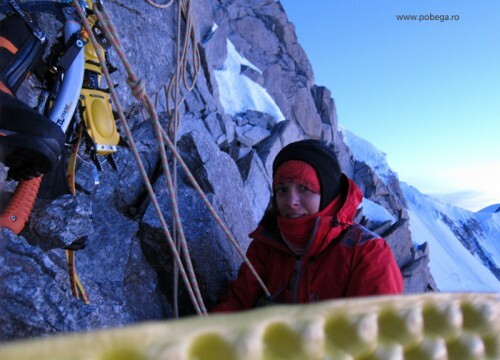 For a full detailed story in Romanian with more pictures from our climb, please read Silvia’s article. felicitari meseriasilor… pe zi ce trece tot mai apropae de cer…. 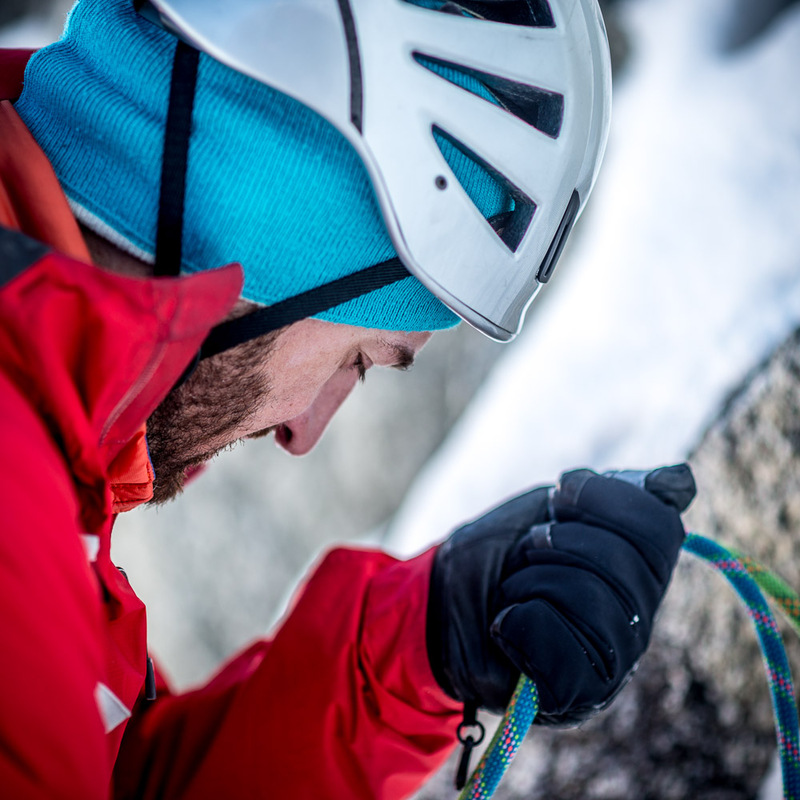 Great images, great story and great route! Great pics, awesome story, congratulations!